A recent minor update to PlotSafe has seen prune height features stand out more to end users in the field. This will enable them to check the prune height carefully through a quick visual glance at the screen. Through user and client feedback we recognise pruned parts of the tree are often of highest value, and the importance of such a check for field crews to be able to validate their data entry quickly and easily. At the Stem Description screen users will now see a new prune height icon next to the prune height and a red bold line above the prune height feature. How does this work and how do I set it up ? 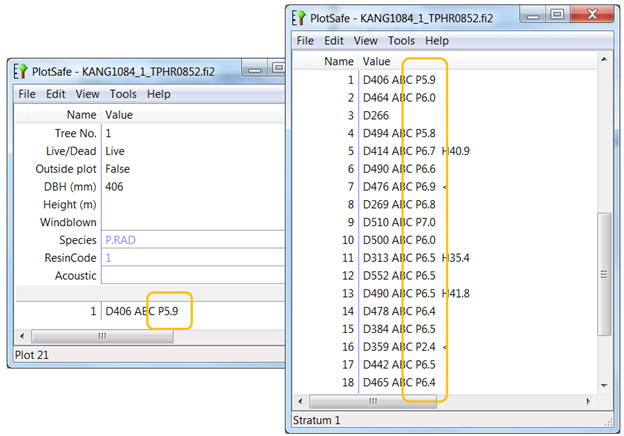 Download the latest version of PlotSafe (version 1.4.X+). 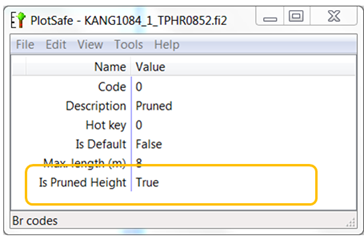 Once installed check your templates and go to the code which is used to describe a prune height. For example Br=0 or Pruned=Yes and you will notice an additional setting called “Is Pruned Height”. 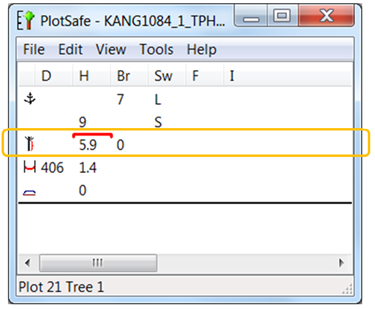 Set this to “True” to tell PlotSafe to use this to calculate the Prune Height and display this in the summary tree lists and on the stem description screen.